Wild Sanibel continues to be thriving with live creatures showing up in high definition color this week like oodles of these live COQUINAS near Lighthouse Beach. After a few days of west winds, bunches of Beach Bling washed ashore near the Sanibel fishing pier earlier this week. We’ve been seeing hundreds of live LINED STARFISH and beautiful purple SEA WHIPS in the water. This was one of the biggest live TRUE TULIPS I’ve seen in a while at low tide. Gorgeous and healthy. Now this guy was a little bit creepy. Lots of folks gathered around to see the bright orange snake slithering around the exposed concrete slabs in the water at the entrance of the Lighthouse. Since I had never seen this snake before on Sanibel, I texted my naturalist and shelling guide buddy Captain Brian Holaway to see if he knew. Of course he did! He told me it is a non-venomous MANGROVE SALT MARSH SNAKE (Nerodia clarkia compressicauda). Whew- they aren’t poisonous so I took a minute to snap a few more photos and enjoy looking at how handsome he was. Just last night, Monica from Ocala found a few striking shells along with the brilliant test of a Purple SEA URCHIN. Another evening this week Clark saw Maria from Monrovia who found a huge empty HORSE CONCH walking in the water at Bowman’s Beach. Congrats Maria! I have been so consumed with the living wild creatures, I didn’t see many empty shells… but I’m very happy with one perfect PAPER FIG, a purple SEA URCHIN, 2 juvie FIGHTING CONCHS and a PEAR WHELK. 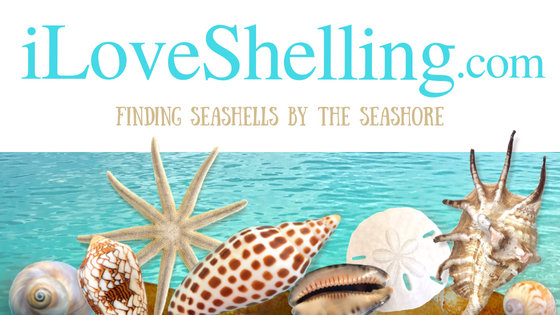 Join me on a Shelling Adventure! For more information and dates CLICK HERE. oh, look at those coquinas!!! so beautiful. see you in just 4+ weeks! Ooooo, that looks like great beach bling! Love the snake. I saw one in January at the edge of a huge shell pile in the water.I didn’t know if it was an eel or a snake. Finally I picked it up and found that it had no dorsal fin so not an eel. Glad to know its name. Yikes! I thought I was safe shelling without worrying about snakes. I am scared to death of any kind. Thanks for the warning! Hopefully it is a rare occurrence. I need a shelling fix again, soon. After looking at this posting I am starting to feel the need to come back to Sanibel. I love tulips and you certainly found a nice one. So happy everyone is having such a good time in your area. There is nothing like going to Sanibel area to shell. My favorite place for sure. See you soon Pam!! You sure are brave to pick it up. I would be running in the opposite direction! I am scared to death of them just like Diane. p.s. I am trying to put names and people together. Are you MEM (mother earth Marilyn)? I’ll take bobcats over snakes any day! I live in Ohio so perhaps I will check back with you in the future to see if you are up and running again:) I met you inside the Marina at the end of May (I was the silly one who started crying I was sooooo excited to see you). If not, I will stop in Sealife on my next trip down. Thanks so much! I love your website! Sanibel is amazing. Have you ever visited ocean grove in New Jersey? I’m sure it fails in comparison to when I visited sanibel in March but can you find sandollars and sea urchins there? It’s so helpful that there’s a chart with all the shells you can find in sanibel/florida area I can’t find anything similar for ocean grove. Hi Pam, that’s a lot of beach bling. It takes me back to the video you posted several years ago at the same stretch of beach. You were picking up all kinds of shell treasures! I wonder if you’re remembering my fave video by Pam from Jan. 14, 2012? I have enjoyed it often…. as it’s gorgeous and unique…. Everyone I show it to understands why Pam is so endeared and appreciated by shellers and those who yearn to be there on the beach, reaching for those gifts of the sea…. Yes Charlotte, that’s the video, I love that it’s your favorite video as well! The beautiful way Pam put it together makes me feel like I am there shelling with her. It’s Pam’s wonderful pictures and videos that got Ken hooked on shelling. And I do mean hooked! Well, if there are big piles of shells somewhere, I haven’t seen them either. But the beach is so beautiful with all of the living creatures and the small treasures. Good luck and enjoy all of the other stuff. :) Sorry I missed you!!! I just got back from Sanibel where I had my very first shelling experience. It was EPIC!!!! I found purple sea whip!!!! (Took me a while to figure out what it was called) But now that I know what I have I would like to know how to clean it. I used warm water and a little soap but it still has a fishy smell. It’s not a strong smell but I’m hoping you can help me. How to I properly clean it? Thanks so so so much!!! Just leave it outside in the sun for a week or so in the sun. That should do it. You could also spray a matte finish on it.